Boy Scouts 'Exploring' Co-Ed Programming Provokes Girl Scout Ire : The Two-Way While no decision has been made, the Boy Scouts have been considering welcoming girls in an unspecified capacity, a spokeswoman tells NPR. A close up detail of a Boy Scout uniform. The organization has been exploring expanding its programming to girls. The head of the Girl Scouts is accusing the Boy Scouts of America of a "covert campaign to recruit girls," as a way to boost flagging membership, according to a scathing letter published by BuzzFeed News. "We are confused as to why, rather than working to appeal to the 90 percent of boys who are not involved in BSA programs, you would choose to target girls," Kathy Hopinkah Hannan, Girl Scouts of the USA's national president, wrote in the letter sent to the Boy Scouts national president on Monday. "The Boy Scouts has been exploring the benefits of bringing Scouting to every member of the family – boys and girls," Boy Scouts of America spokeswoman Effie Delimarkos tells NPR. She says that exploration is based on "numerous requests from families," but that no decision has been made yet. The letter follows what The New York Times characterizes as a "tense phone conversation" between executives of both organizations "about possible substantial changes at the Boy Scouts." In the letter, Hopinkah Hannan said that Girl Scout leadership has tried to engage in an open dialogue with the Boy Scouts about the matter. She said she was disappointed to learn that the Boy Scouts have been "surreptitiously testing the appeal of a girls' offering to millennial parents." But the Boy Scouts' Delimarkos told BuzzFeed that the organization has spent months trying to engage the Girl Scouts. "We are disheartened to see the Girl Scouts pull away from the possibility of cooperation to help address the needs of today's busy families," she said. 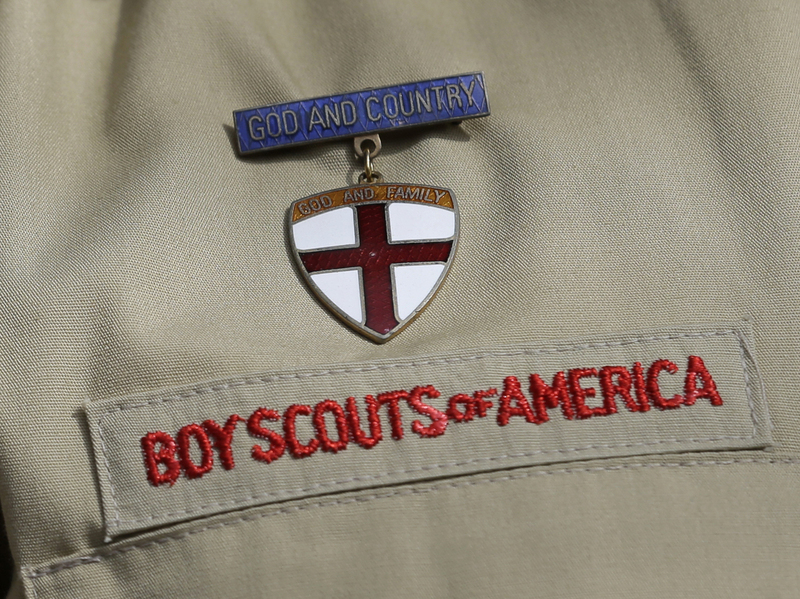 For more than a century, both the Boy Scouts and the Girl Scouts have operated as separate but similar organizations, seeking to train millions of young people to be leaders; to be brave, friendly and strong and to honor "God and country." Since their founding, Hopinkah Hannan says the two organizations "have worked in a respectful and complimentary manner." But she says the Boy Scouts' "plan" would only serve to "undercut" the Girl Scouts. Last spring reports began to emerge that the Boy Scouts had opened the door to the idea of bringing in girls. In May, Delimarkos told NBC News that leaders were discussing how "to meet the needs of today's families, which include dual earners and single-parent households." In fact, the Boy Scouts already offer several co-ed programs and have for years. They include Venturing and Exploring, which bring activities and career training to boys and girls. Hopinkah Hannan said a co-ed model goes against "research supporting single gender programming." 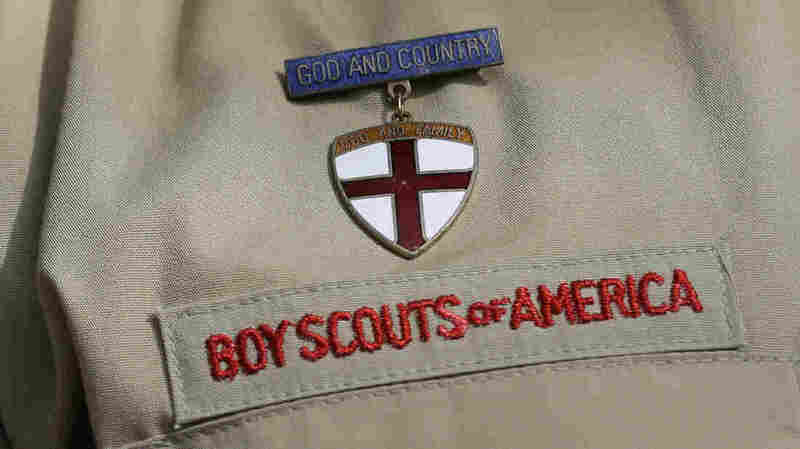 But Delimarkos maintains that "The Boy Scouts of America believes in the benefit of single-gender programs." To what extent the Boy Scouts intend to welcome girls remains unclear. It has been a time of change for the group. In January the Boy Scouts announced the organization will accept transgender boys. In 2015, it ended a ban on gay leaders, two years after accepting gay youth. Delimarkos told The Times that Boy Scouts executives have reached out to the Girl Scouts since receiving the letter and hope to meet soon. "There is an opportunity for both of us to do more," she said.